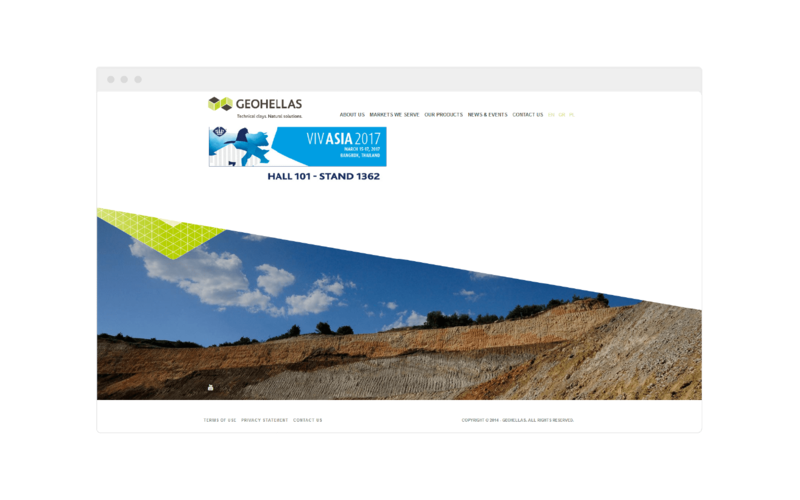 GEOELLAS SA is a Greek company active in the field of industrial minerals, aiming at exploiting one of the largest stocks of attapulgite and saponite in Europe. It has specialized Research and Development departments and modern factory facilities. 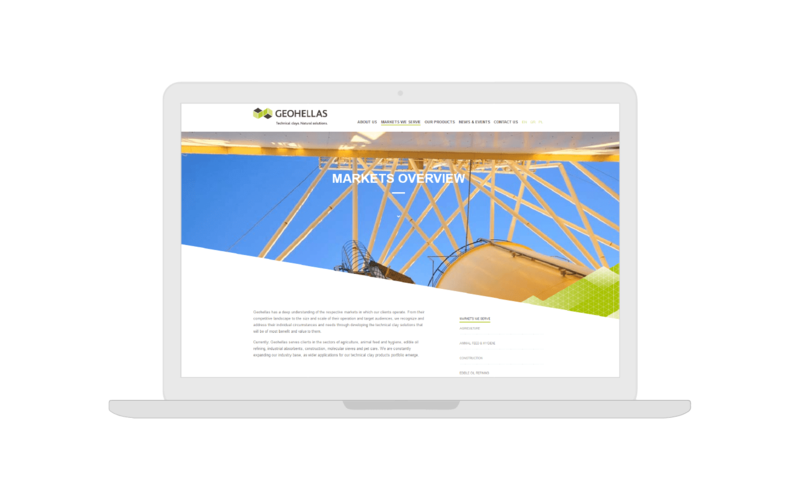 We were asked to design the company’s new website. 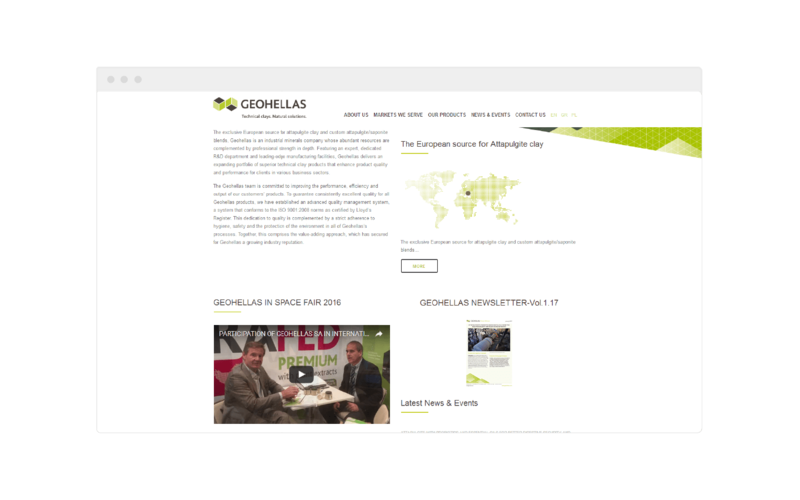 Our idea was based on making a site simple to use and designed based on the colors and the general aesthetics of the corporate identity of the company. 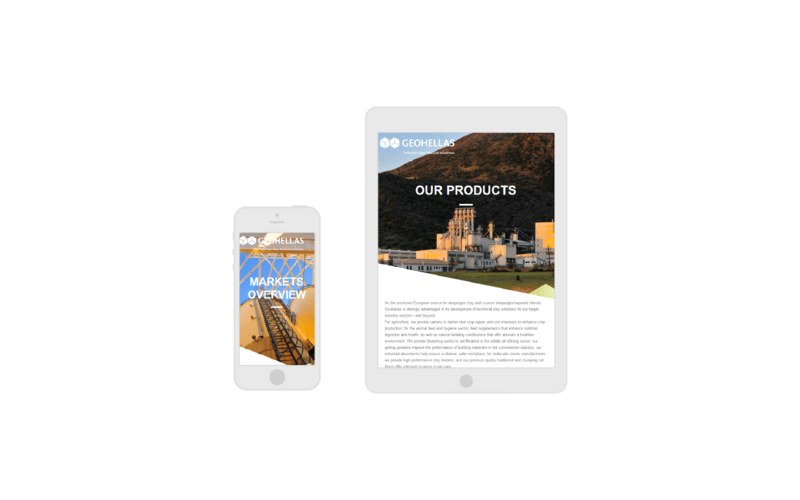 We created a user-friendly and fully functional site with all mobile devices through which the user can navigate easily and quickly.